Go rogue with this Star Wars wobbler! 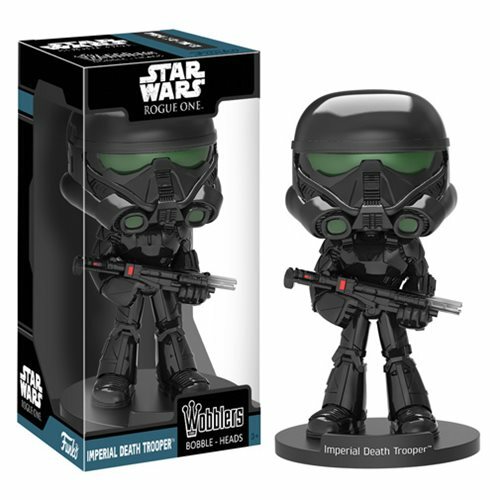 Based on Star Wars Rogue One, this Imperial Death Trooper Bobble Head measures approximately 6 1/2-inches tall. The intimidating trooper comes packaged in a window display box. Ages 3 and up.